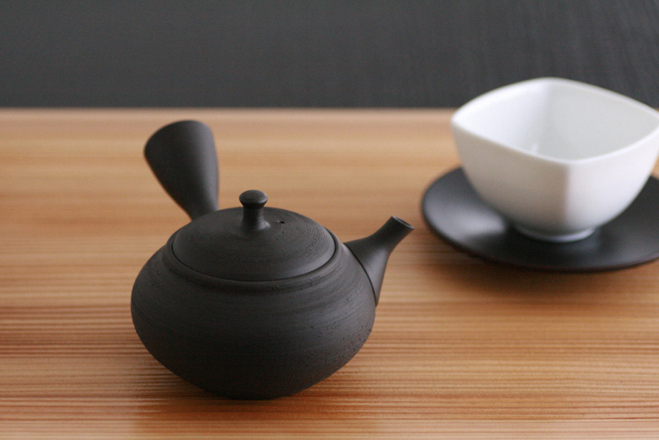 Small black streaked teapot by Shoryu. Tokoname wares are ceramics produced in the Chita, Handa and Tokoname areas in Aichi prefecture. As a Westerner the Japanese arts seem almost opposite to what I’m culturally used to. My eyes have adjusted to the fairly straight, symmetrical lines running throughout our modern world. A lot of what I encounter in every day life has these lines that I’m talking about, the square lines of a chair, table, much of the architecture, all set out in a similar way. It’s only the last few years that I’ve noticed such discrepancies and I’ve had a real shift in mentality regarding this matter. When readdressing your viewpoint you start to consider the alternatives to such precision, how can asymmetry be used and what’s the value of it? The Way of Tea appeals to me both aesthetically and spiritually. 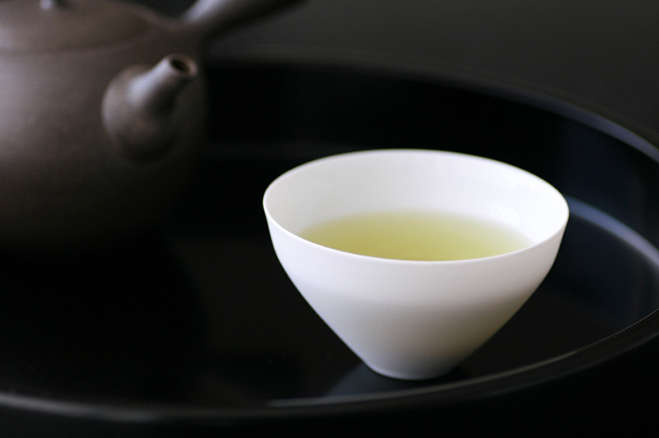 Anyone who’s studied or read up on chado, aka the tea ceremony, will know about its subtlety, an unexplainable harmony. This art in-particular is littered with ideas and concepts, but you also get a similar vibe from other Japanese arts such as Ikebana and calligraphy. I’m studying to see what links can be made between these traditional arts and the modern world, and I hope to experiment with my own works to decipher some meaning. I’ll probably start with clay first to understand how it’s used and what effect it has on form. Obviously, with a strong interest in tea and the objects surrounding it, it makes sense to connect with like-minded individuals and understand their point of view. I stumbled in to the website ‘Everyone’s Tea’ and felt a strong urge to showcase some of the imagery from their website here. Owned by Kohei Yamamoto, their concept is to enhance peoples lives with rustic elegance and quiet simplicity. 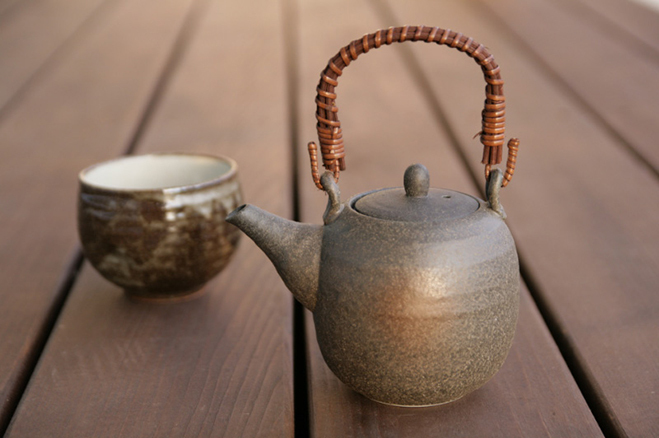 This online store is a place to acquire objects and gain knowledge on the way of tea. They even have some videos showing the methods of making and the concepts behind the tea ceremony, so it’s definitely worth a visit when you get a minute. I hope you enjoy this beautiful imagery and will go ahead to their website to view more. Bizenfu teapot, produced in the Toki, Tajimi, Mizunami, and Kani regions of Gifu prefecture. 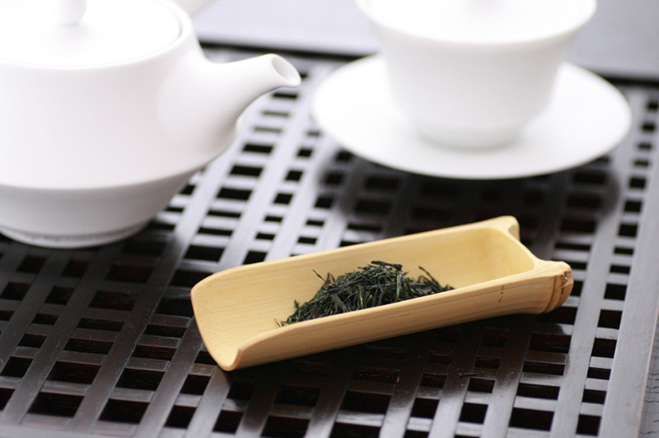 Chago tea plate, a flattened bamboo scoop perfect for pouring tea leaves in to a teapot. Small stainless saucer, made in Nigata, Japan. 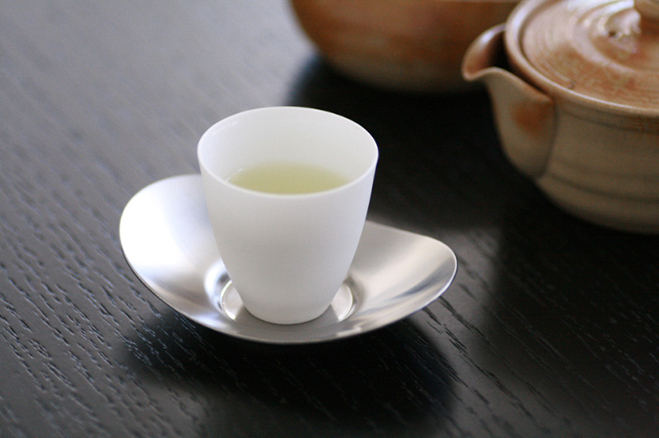 Wabi-Iki thin sencha cup. 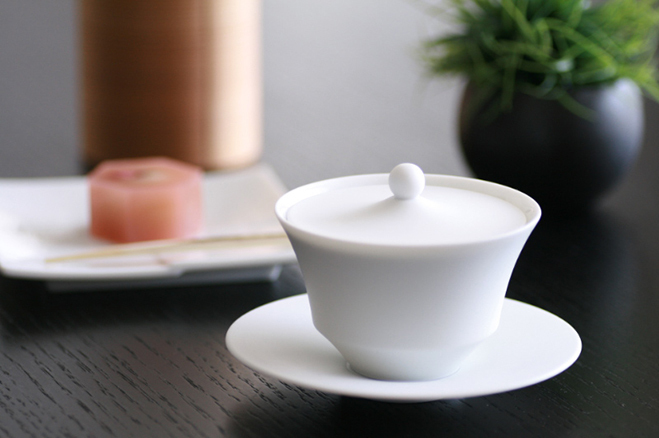 Matte in colour with a smooth surface texture, the white reflects the natural hue of the tea and is held stable thanks to a thicker foot. 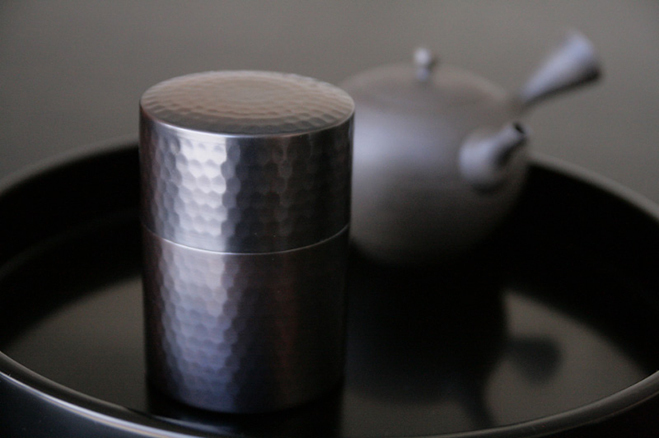 White porcelain sencha cup with lid. Produced in Seto, Aichi prefecture, it’s said that Seto is the place where the first Japanese domestic tea bowls were produced. 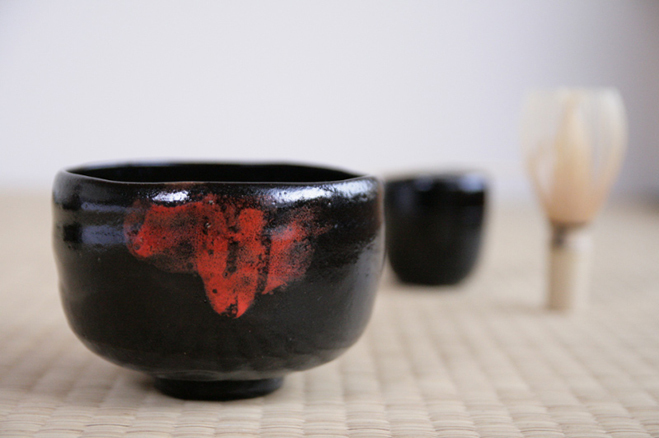 A red spotted raku tea bowl, hand-made by pottery firm Asukagama from Akazu. 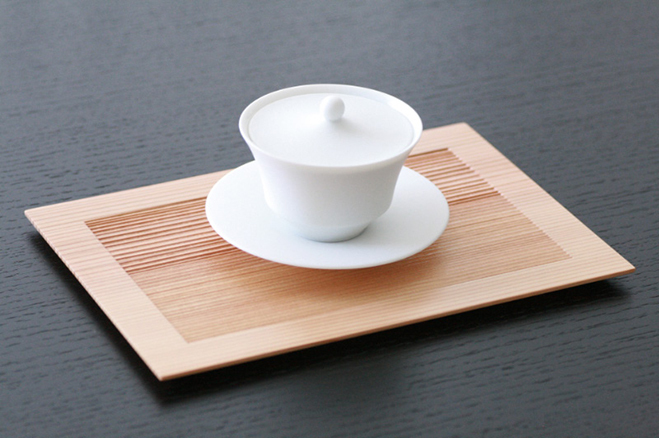 Natural cedar tea tray, made to present the tea wares in a modern way. Copper tea caddy made in Nigata prefecture, one of the biggest metal-working industrial centres in Japan.